We don't want you to wear work boots that haven't been tested. Don't just randomly put on a pair of men's boots and cross your fingers - make sure you're wearing a pair that's been put to the test and has passed with flying colors. 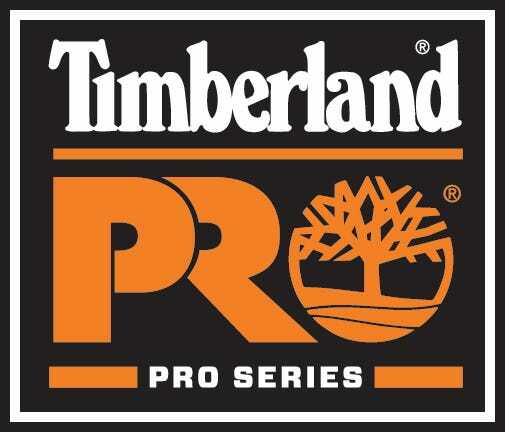 These Timberland PRO Men's Brown ... (see full details) (see specifications) #TMBTB01112A210. We don't want you to wear work boots that haven't been tested. Don't just randomly put on a pair of men's boots and cross your fingers - make sure you're wearing a pair that's been put to the test and has passed with flying colors. These Timberland PRO Men's Brown TB01112A 210 Boondock Composite Toe Waterproof EH Boots have been pushed to the limits, and they're ready to protect your feet. Their cold formula thermoplastic urethane outsoles have a low temperature formulation that maximizes your traction on cold surfaces. These Timberland PRO boots have been tested using SATRA TM144:2007 frosted rough ice surfaces. They extend flexibility in cold environments, they have deep lugs for mud and snow traction, and they're slip- and oil-resistant. Even the oil-resistance has been challenged for volume swell using EN345 TMP ASTM fuel A 7 Diesel ISO 1817 liquid F for 22 hours and ASTM IRM903 and fuel B for 46 hours. If you think your current work footwear is good, just wait until you try these composite toe boots on for size. These men's boots are all about protection and comfort. Their rugged exteriors work hard to keep your feet safe, with their composite safety toes and waterproof leather uppers fending off abrasion and moisture. They're 8 inches tall, so you'll have plenty of coverage to count on each work day. The TPU cold formula outsoles provide you with electrical hazard protection, and these Boondock boots are constructed on the Timberland PRO TiTAN last for non-metallic protection and a superior fit. There's dual-purpose top hardware to give you instant lacing customization. Fiberglass shanks in these composite toe boots provide you with structural support and there are also rigid external heel cups for lateral stability. Along with the premium, waterproof, tumbled brown, leather uppers, these safety toe boots also feature waterproof membranes to keep out external moisture. Mesh lining on the interiors has an antimicrobial treatment for odor control, so your feet will stay dry and have less odor. Sounds good, right? These slip-resistant boots have a PowerFit Comfort System, and they come with a 30-Day Comfort Guarantee. Dual-density Dynamic Anti-Fatigue Technology absorbs shock and returns energy back to your feet, focusing on key strike zones while enhancing moisture management to give you all-day comfort. Dual-density polyurethane midsoles offer you with the extra reinforcement you need, and the Anti-Fatigue Technology helps your feet feel less tired by the end of a busy work day. Don't just guess which men's footwear is right for you…find out for sure. These Timberland PRO Men's TB01112A 210 Boondock EH Composite Toe Waterproof Abrasion-Resistant Boots have been put to the test, so you know they'll keep your feet guarded and comforted all day long. Order yours today from Working Person's Store! These boots are great! They are truly the most comfortable work boots that I have ever owned. Cushioned sole but paired with very aggressive tread makes these boots great all day long, indoors or outdoors. These timberland pro work boots are also excellent looking. I have been asked several times where I got them. Initially out of the box, these Timberland boots are very comfortable. Leather is soft and interior of boot is lined with fabric for added comfort without added bulk. Boot seems true to size. Long term will have to see how boot holds up. Timberland PRO Boots: Men's TB01112A 210 Boondock Composite Toe Waterproof Boots is being added to your cart.